We are very sorry to report that Marion Parker sadly passed away on 1st August. Marion joined 2nd Southwick in 1971 and overlapped with our very first Akela, Miss Blunsdon (Plump). 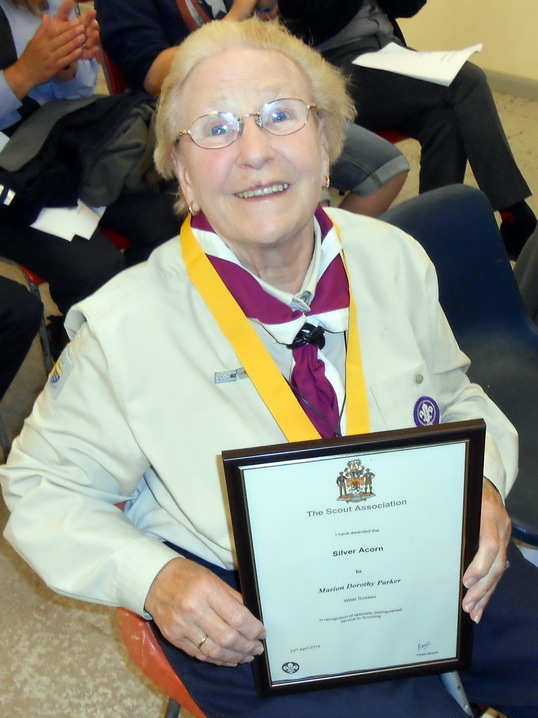 She worked alongside her husband Michael, Andy Harris, Sheila Davey, Sylvie Lewington and Ann Moffett amongst many others in running our cub packs (we had two packs in the seventies!). She was with us for about 23 years in all before leaving us and supporting Scouting in the wider District right up until very recently. Our thoughts go to her family. Marion is being cremated on Wednesday 24th August at Downs Crematorium Brighton, BN2 3PL, at 1:00pm. Family flowers only. Donations to St Barnabas Hospice, Worthing.